"I am particularly proud to introduce you to The Nare which has been in our family’s ownership for over 25 years. 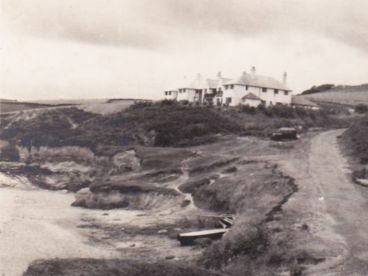 It remains the only AA four red star hotel in Cornwall. Acquired by my grandmother, Bettye Gray, The Nare continues a century-long family tradition of running hotels. Determined to provide luxury and elegance hitherto unknown in the South West she set about upgrading The Nare to become what it is today, a comfortable country house for discerning guests. We continue to improve the luxurious style, yet are careful not to spoil the quintessential English quality and charm. Long-term caring staff give unobtrusive traditional service, where guests’ comfort really does come first. 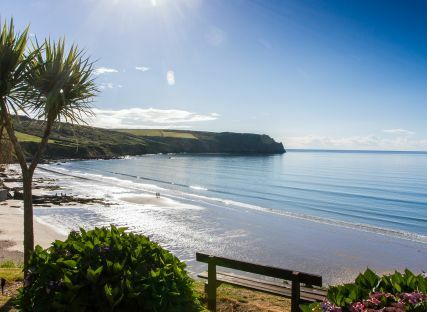 With your first glimpse of the bay as you wind your way to this unspoilt, quiet corner of Cornwall I do hope you will be drawn to the come-home feel of The Nare, the country house hotel by the sea, so beloved by the many, many guests who return." 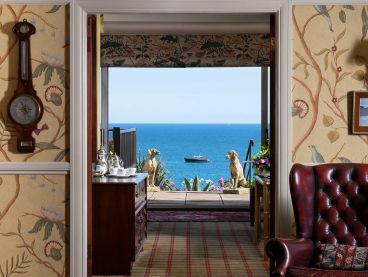 The Nare offers the comfort and elegance of a quintessential English country house, in a secluded tranquil setting by the sea. It combines the highest standard of traditional service with a pleasant relaxing atmosphere. Comfort at The Nare goes beyond what is required of a five star status and there are comforts that are provided that others simply do not undertake. The Nare is a purveyor of genuine, thoughtful, unaffected comfort. The Nare has been privately owned by the same family for nearly 30 years. Over a century of inn keeping and a passion for generous hospitality have maintained a very traditional feel to the hotel. This could not have been achieved without the dedication of the wider family of long-term loyal staff. The Nare’s special touch of generous hospitality is found in so many subtle facets throughout one’s stay. The Nare is perfect for couples, families, gatherings of several generations and those travelling alone. 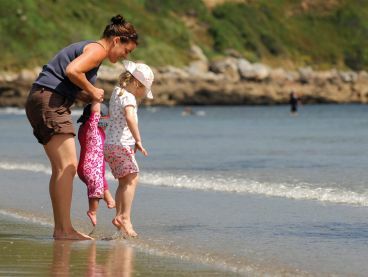 It offers seclusion away from the busy resorts with more than enough to do to satisfy all ages. Well-behaved dogs are also very welcome (do check the doggy arrangements). The Nare is not simply a restaurant with rooms, nor a corporate hotel, and avoids weddings and business meetings that would spoil ones stay. The Nare hotel was built in the 1920s. Bettye Gray purchased The Nare in 1988 as a retirement project. 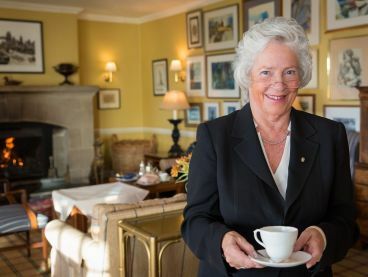 During the following years Bettye and her General Manager, Daphne Burt, greatly improved the quality of the hotel. Toby Ashworth (Bettye's grandson) joined the business in the early 1990s and today he and his immediate family are the current owners. The full family history can be found in Bettye Gray’s book Oh - Get on! The Nare works with many partners in Britain and worldwide. The Nare is amongst an elite selection of hotels who are members of both Pride of Britain Hotels and Small Luxury Hotels of the World consortia. 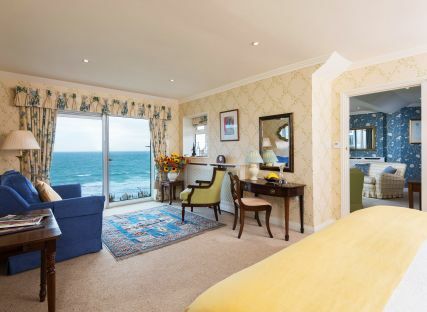 The hotel is recognised in other leading hotel guides and has been the highest rated hotel in Cornwall for the last 25 years. 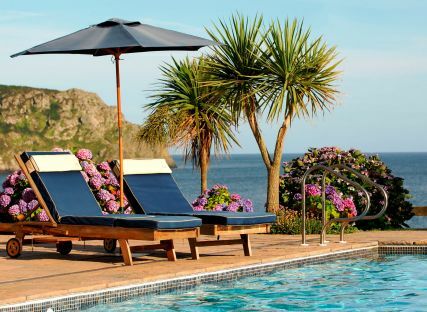 The Nare also actively promotes Cornwall and supports many of the county's suppliers.